I hate to admit this, but I only clean my home about three times a year. Energy cleaning, that is! Being a Pagan in modern day can sometimes get a little tricky. With eight Sabbats and twelve full moons a year (thirteen on a Blue Moon year! ), plus grounding, chakra balancing, and various other spells, a witch gets pretty busy! (Because, you know, life!) Unfortunately, this means the important practice of cleansing a home’s energy often gets put on the back burner. Who has time for smudging when we barely have time to shower?! So, how does a witch keep a home physically and energetically clean while still making it to tarot class on time? 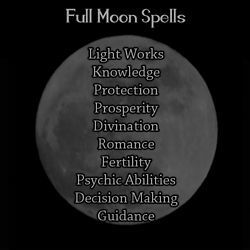 Full Moon Energy-Cleansing Carpet Powder! The beauty of this fragrant moon-blessed carpet powder is that it not only dispels negative energy and invokes positive energy, but it does so while you’re vacuuming! Who doesn’t love a double duty task? Another added benefit? Your home will smell fresh and flowery without any toxic chemicals! And since you only need to use a light sprinkle per room, one batch will last several months! ★Put the lavender, sage, and chamomile in a pestle and grind into powder. You may also use a spice/coffee grinder or a plastic bag and rolling pin. It doesn’t have to be ultra-fine powder, just broken up. ★Thoroughly mix the herb blend with the baking soda and sandalwood. Pour the mixture into your container. Bless and cleanse my loving home. ★Leave the covered jar outside or on a windowsill overnight. Use your Energy Cleansing Powder by lightly sprinkling it over your carpet or rug and giving it a few minutes to work its magick before vacuuming it up. Please use with caution around animals. Because they lick their feet (and baking soda is high in sodium!! ), you’ll want to keep them out of the room until you’ve had a chance to vacuum. This spell makes a great new-home present! And since it easily doubles (or triples. Or quadruples, etc, etc) you can keep a batch on hand for a last minute holiday or just-because gift. Put it in a recycled jar or pretty mason jar, tie a ribbon or raffia around the top, and you’ll have a beautiful, thoughtful gift that will delight any domestic goddess (and make you look like the Pagan Martha Stewart!). When the new moon is in Aries on April 5, we receive a one-two punch of power: a moon phase that encourages us to get moving, and a sign to give us the energy to do it. This means change is likely coming—which is almost always be a daunting prospect—but with Aries‘ bold sensibilities, forging ahead is a natural act. Should you need a bit of help, this appropriately fiery clearing ritual should help make room for a welcome dose of daring. You’ll need a red candle to represent courage; bay leaves to promote healing, success, and wish fulfillment; and a desire to break free of the frustrations that have held you back for too long. Make yourself known and let Aries’ new moon do the rest. Determine if you will do this ritual indoors or outdoors. Using the black marker, write down a word or two on each bay leaf that represents something you feel has been holding you back. For the indoor ritual: Light the candle. One at a time, grasp each bay leaf by its stem and hold it in the fire. Watch the fire consume the leaf and visualize whatever has been stunting you turning into smoke and drifting away from you. Place the leaves into the fire-safe dish to finish burning. Note: Dried bay leaves tend to burn quickly—grab pair of grill tongs for extra safety. For the outdoor ritual: Build a fire and toss the bay leaves into it. Imagine your restrictions puffing into smoke and floating away. As an alternate ritual, you can use the knife to carve the same words penned on the bay leaves directly onto the firewood. You will not need bay leaves for this version; intention is all that matters. Humans are funny. We tend to over complicate things, making a simple situation a harrowing ordeal. Paganism is not removed from this phenomenon. Having spent over a decade in Phoenix, Arizona, I sought Sedona—the iconic Red Rocks— as a refuge from the city life. Sedona is a self-proclaimed spiritual mecca, and if you’ve ever visited it’s easy to see why. The landscape is breathtaking, the surrounding mountains carved from rich crimson rock. But it’s not all nature and tree-hugging. There is a plethora of metaphysical stores, some more kitschy than others. Visiting several times a year, I became a fan of one in particular, tucked away at the end of the main drag, somewhat removed from the bustle of tourists. The funny thing was, I mostly patronized them for incense. As a witch, I definitely went to Sedona for supplies, but I wasn’t all that interested in the crystals and knick-knacks that the countless New Age stores provided. I went to Sedona because the nature was beautiful. It was the natural enchantment I was seeking. So I did what any natural witch would do— I collected loose Red Rock pebbles (where permitted), fallen evergreen boughs, and woody-scented pine cones. Don’t get me wrong, gemstones and other metaphysical store treasures have their purpose, and I do use such products on occasion. But Penniless Pagan’s purpose is to show you how to worship nature without spending a dime! Therefore, the spell below is completed with supplies provided by nature. If you’re a glitter witch and enjoy the sparkly side of Paganism, simply use crystals instead of rocks and beads instead of twigs. Magick is personal. It’s all about what resonates with YOU. 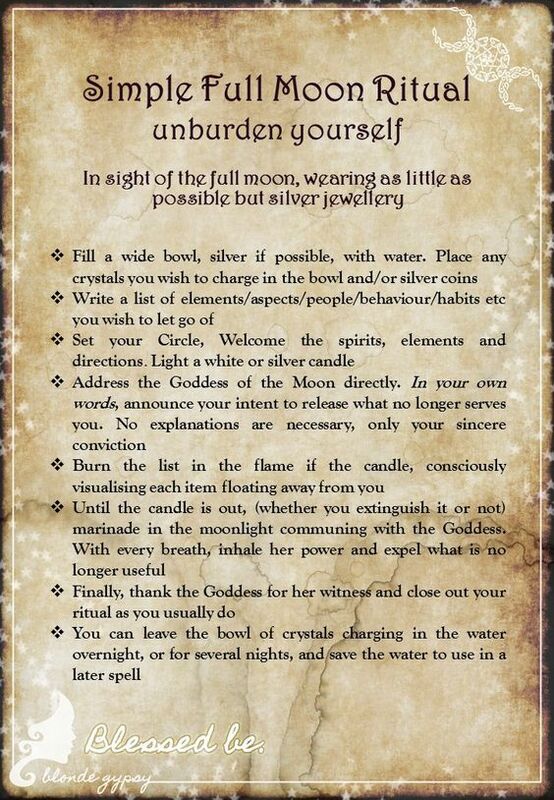 Below is my simple but effective spell for a 13 Moons Blessing Chain. 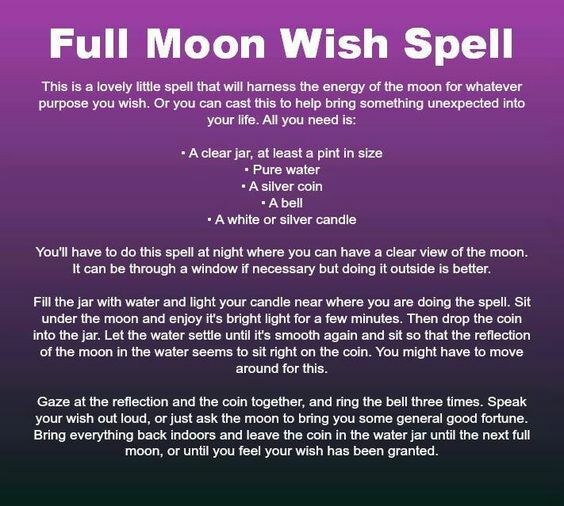 It’s a perfect spell that harnesses the power of the full moon while lending beauty (and a little magick) to your home! Creativity Intuition Note: If you have need for one blessing over another, say you’re in a financial struggle and desire abundance, assign that blessing to a larger twig. Otherwise, randomly draw the twigs from a pile and let your Blessing Chain find its own balance. ★Once you have your thirteen blessings chosen, draw a twig from your pile and take a moment to visualize the first blessing manifesting in your life. For example, if you’ve chosen creativity as a blessing, imagine yourself painting, sewing, or crafting with renewed zeal. Picture the creative inspiration physically flowing into your mind from the earth around you as you channel that idea into your chosen artistic outlet. Once you have visualized the blessing manifesting, tie the twig into your chain with a simple knot or adhere with a dot of hot glue. Continue this until all thirteen blessings are knotted into the chain, allowing a bit of space between each twig. ★Once all thirteen twigs are knotted into the chain, you’re ready to attach your stone. Make sure to choose a rock that speaks to you. If you happen to have a witches’ rock (a stone with naturally-occurring holes) a Blessing Chain is a good spell in which to use it! To attach the rock, you’ll need to tie the string or ribbon around the stone in a criss-cross pattern, much in the way you wrap a package. 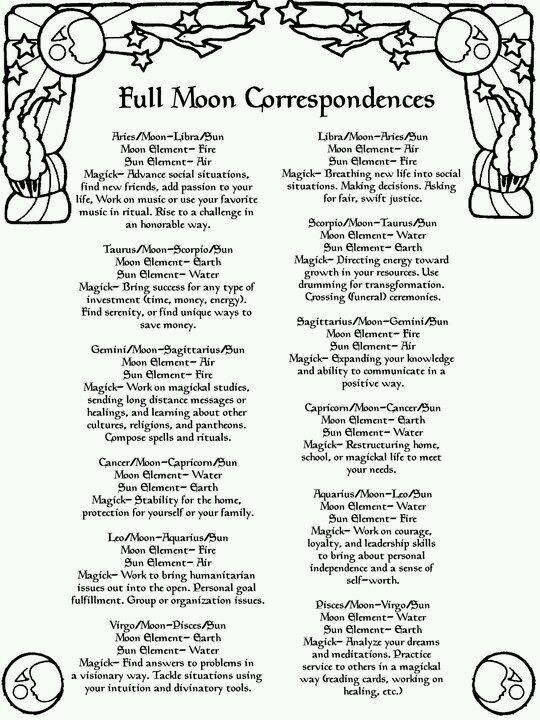 ★Hang the chain in a moonlit window and know the moon’s energy is blessing your home with your thirteen chosen blessings! 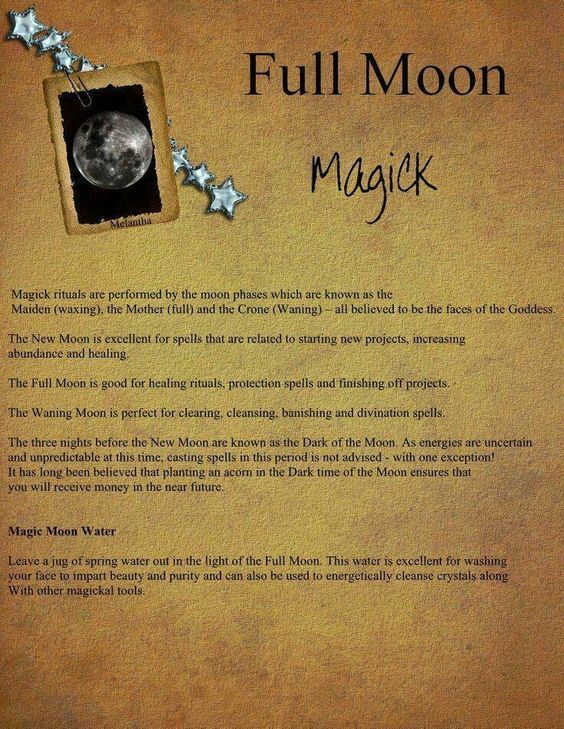 This spell is meant to be hung indefinitely, collecting more moon energy with every full moon! Look down at the coin shimmering in the cauldrons water. With your eyes half closed, adjust your vision as if you were looking into and through the coin. Don’t try to analyze anything you might see or that might come into your mind. Just accept it. Some people, rather than seeing actual pictures within the cauldron, will have mental impressions, feelings or pictures. When you have finished, bow to the Moon and say thank you. Pour the water out on the ground. You’re done! Creative blocks will begin to dissipate within twenty-four hours.